Jeremy Robinson adapts his own bestselling novel for American Gothic Press! Kaiju, noun: Giant monster. Jon Hudson thinks hes hunting for Bigfoot when Sheriff Ashley Collins knocks on his cabin door with complaints. 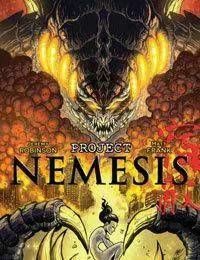 But a joint expedition finds them on the verge of uncovering a government experiment so massive it could threaten the world... and prove that kaiju are more than Japanese fairy tales.